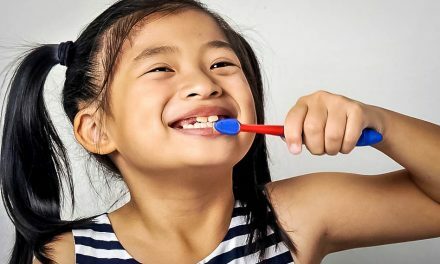 Tooth brushing, combined with flossing, is necessary to prevent cavities and gum disease, the two most common oral diseases that people might have. Tooth brushing is recommended after each meal in order to remove food debris from around teeth and gums. If food stays in the mouth it can become dental plaque, and then tartar, which initiates gingivitis and then periodontitis (different stages of gum disease). Furthermore, bacteria in the mouth that cause tooth decay can use the sugars contained in food debris. More and more studies are showing the relation between poor dental health and other systemic diseases such as diabetes and heart disease. 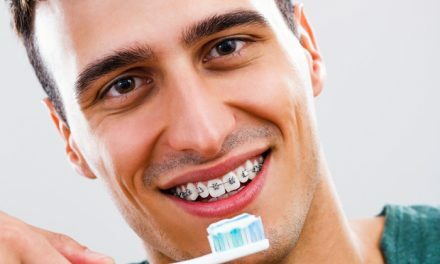 Someone who doesn’t brush and floss regularly might have a shorter life expectancy. a bond that links the head to the handle. Toothbrushes have existed for millennia and have evolved over the years. Nowadays the electric toothbrush has become very widely used in the western world. But toothbrushes still have their limitations: they do not clean in between teeth. 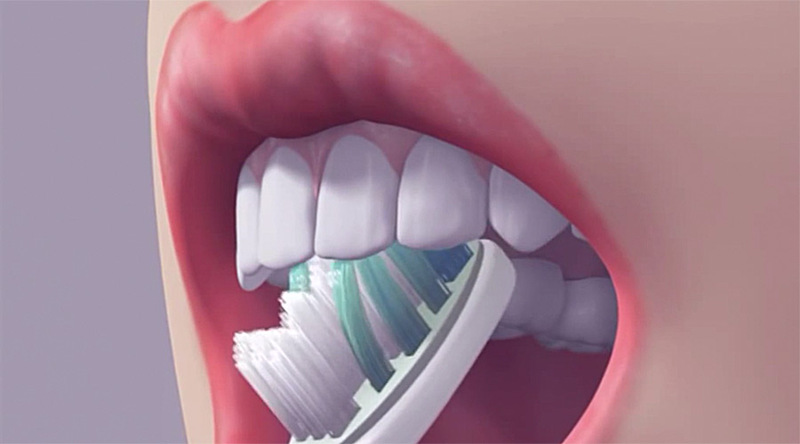 A toothbrush cannot reach 35 % of dental surfaces. That is why it’s important to floss in order to complete oral cleaning. 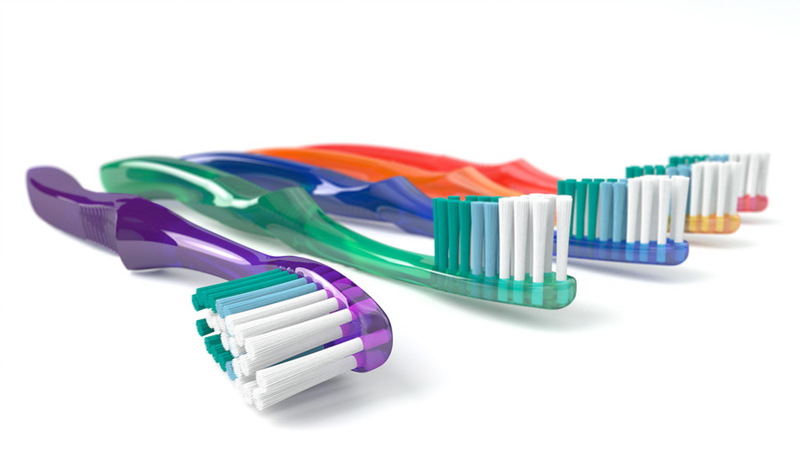 There are different types of bristles on toothbrushes: hard, medium, soft and extra soft. Only soft and extra soft bristles are recommended in order not to damage teeth and gums over the years. Hard and medium toothbrushes can be used to clean dentures. 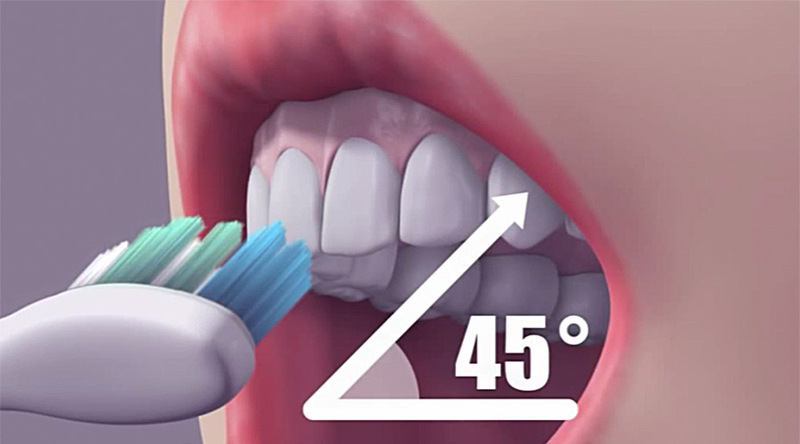 Position the toothbrush at a 45-degree angle. Place the bristles of the toothbrush at the spot where gums and teeth meet. 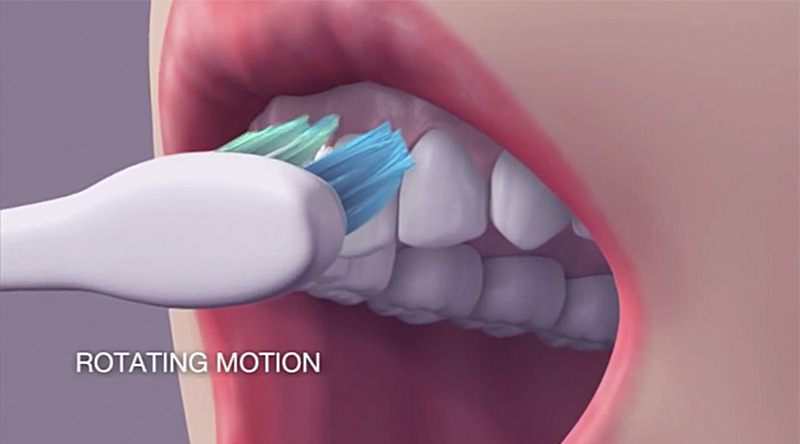 While brushing, use gentle massaging rotations and up and down motions. Don’t brush too hard and don’t go sideways (right and left). Clean every surface and every corner of each tooth. Use the same massaging rotations on the cheek surfaces and the tongue surfaces. You can use back and forth motions only on the chewing surfaces of the teeth. Take your time, as a good tooth brushing needs about 3 minutes to be well completed. The best way to know if you are not brushing too fast is to time yourself. 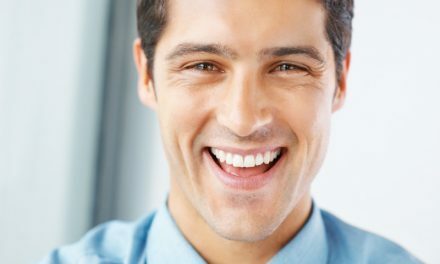 In order not to forget important teeth surfaces, try to brush the difficult areas first. Your toothbrush is only a tool in your hands and it can only clean the places where you guide it. Every tooth has several surface areas and they all need to be brushed, especially the hard to reach ones. Changing the pattern of your tooth brushing from time to time is a good idea as well. When you finish brushing your teeth, spit out the toothpaste, especially if it contains fluoride. When using a soft toothbrush, it’s recommended to change it every 3 months as the bristles become used up and lose efficiency. 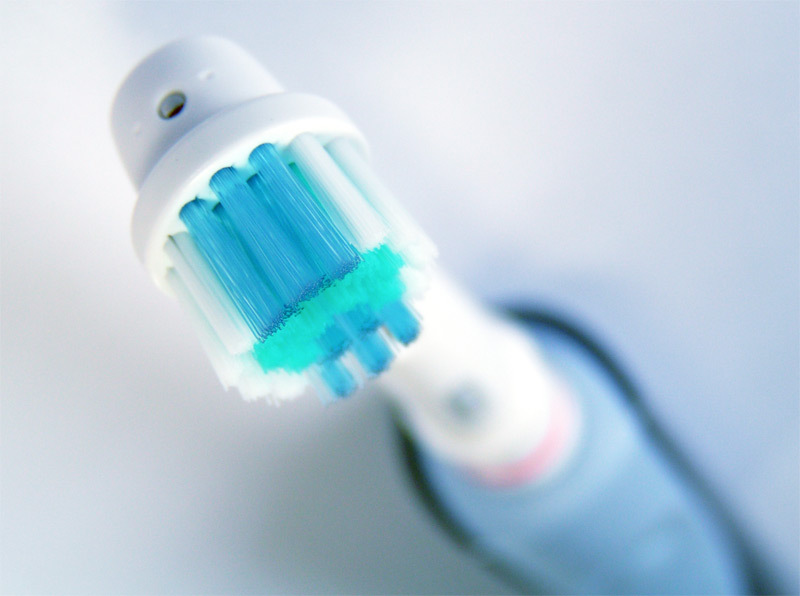 An extra-soft toothbrush lasts even less time and might need to be changed each month. When a person gets sick with the flu, microbes remain on a toothbrush, that’s why it is recommended to change it after healing. There are several studies that recommend brushing your teeth first. And there are others that say you must floss them first! The important thing is that a person does both. But if you floss your first, you remove dental plaque in between them. Those surfaces will then become accessible to the antibacterial properties of toothpaste, including fluoride, when you brush. 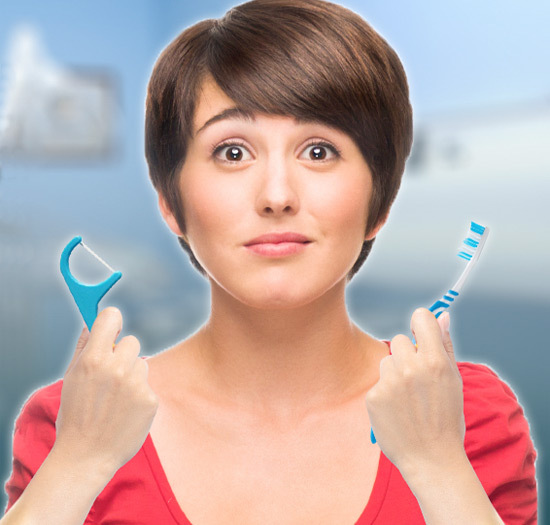 5 facts about your toothbrush (Quality caring dentistry). 10 best electric toothbrushes for 2015 (Faveable). Having a baby? Keep your teeth healthy during pregnancy (Alabama family dentistry). 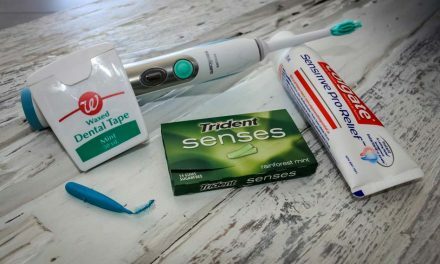 Which Comes First – Flossing or Brushing? (Darren L. Flowers, DMD).